This has been an epic week in journalism -- filled with nonstop surprises, head-spinning scoops and an old-fashioned newspaper war. Now take a moment to catch your breath. Because it's not over yet. Friday's New York Times, in a Washington-datelined story titled in some versions, "A City Hungry for News Approaches Indigestion," quoted a student saying "I get nervous when my phone buzzes." Many journalists feel the same way right now. President Trump's struggles have been keeping newsrooms busy at all hours. The broadcast networks have been breaking into programming with special reports, almost exclusively about the Trump administration's setbacks and self-inflicted wounds. CNN has whipped up "White House in crisis" graphics. The banner headline on the conservative Washington Free Beacon web site went even further on Friday: "Nation on the Verge of a Nervous Breakdown." Reporters and anchors are reaching for words to properly convey the gravity of the crisis. 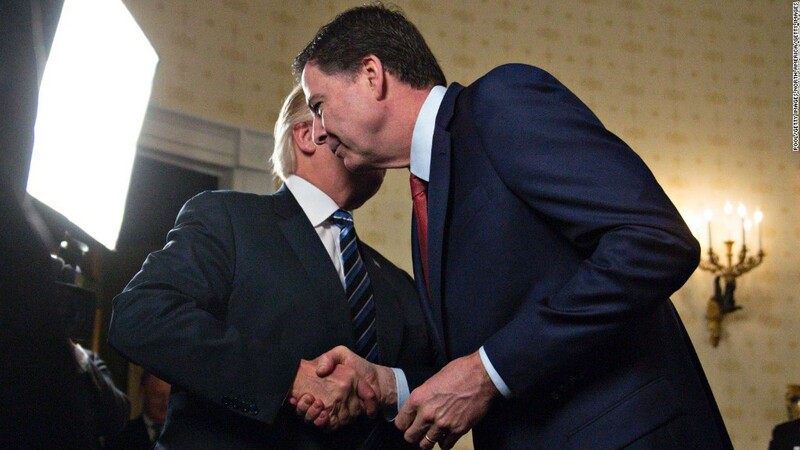 After The New York Times revealed the existence of fired FBI director James Comey's memos, ABC's George Stephanopoulos gravely intoned on "Good Morning America" that "the course of Trump's presidency will turn on his coming public showdown with James Comey." Almost every bombshell story has been followed by a White House denial, sometimes delivered by an anonymous aide. "Believe me," the president repeatedly said at a press conference on Thursday. But polls show that his credibility has been sharply diminished. Related: Does anyone in Trump's White House have credibility? CNN's Jake Tapper asked on the air last Sunday, "Is there anyone in the West Wing who can be trusted to tell the truth?" On television that day, Carl Bernstein said, "I think this is a potentially more dangerous situation than Watergate." David Ignatius channeled the concerns of prominent Republicans, one of whom he said had told him Trump is "Richard Nixon on steroids." "A lot of people are scared," Ignatius said. "And they wonder, how do we get out of this?" On Monday came the Washington Post's stunner: "Trump revealed highly classified information to Russian diplomats." There was scattered applause in the newsroom, according to reporters, when the scoop broke an internal record for number of web readers per second. While the Times, CNN and other outlets quickly confirmed the thrust of the Post's reporting, reporters at the White House heard press aides yelling at each other in a West Wing conference room. Meanwhile, the Times was secretly working on its own blockbuster story -- "Trump Asked Comey to End Flynn Inquiry." That headline hit in the 5 p.m. hour on Tuesday, exactly 24 hours after the Post's Russia scoop. "We're in impeachment territory now," David Gergen said on CNN. Reporters marveled at how the Times and the Post, friendly rivals for over a century, were trying to leapfrog one another with major scoops. Democratic congressman Jerry Nadler commented on Twitter that the "press is carrying out the independent investigation that Republicans won't allow." Pro-Trump media outlets offered counter-narratives and tried to downplay the developments, but with limited effect. Fox News, usually far and away the #1 cable news channel in prime time, slipped to #3 among 25- to 54-year-olds while CNN and MSNBC saw big spikes in viewership. All of this happened while the heads of the major networks schmoozed with advertisers during "upfront week" in New York City. CBS CEO Les Moonves made sure to promote his news operation during his annual presentation to ad buyers. "There has never been more news, nor more of a need for real news, than there is right now," Moonves said. While he spoke, "CBS Evening News" anchor Scott Pelley was at the White House, getting ready for a 6 p.m. special report about the appointment of Robert Mueller as special counsel overseeing the Russia investigation. An exhausted White House official remarked to CNN's Jim Acosta, "It's just been three days straight of these 5:45 p.m. announcements." There was some surprise when the 5 p.m. hour came and went on Thursday without any new bombshell. But silence is usually a sign that journalists are busy doing more digging, more interviewing, more reporting. Sure enough, on Friday afternoon -- around 3 p.m. this time, not 5 -- two new bombshells landed. First, the Times: "Trump Told Russians That Firing 'Nut Job' Comey Eased Pressure From Investigation." Minutes later, the Post followed with its own. And the week still isn't over. Another push alert could light up your phone at any time.